If you’ve been paying attention to the music world this week, you’ve undoubtedly picked up on some serious drama brewing. The brouhaha began in late March when rapper Lil Nas X’s “Old Town Road” unexpectedly landed on Billboard’s Hot Country Songs chart — but was then unceremoniously removed. 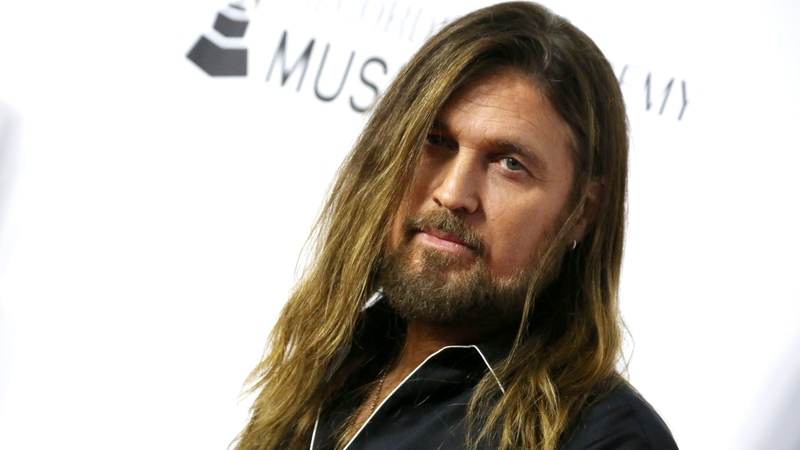 In the latest surprise twist, country icon Billy Ray Cyrus has teamed up with Lil Nas X in response. Now, the odd couple’s country-trap remix is going viral, and Cyrus is defending his decision to jump into the fray. To borrow a term from Cyrus’ daughter Miley, “Old Town Road” has been a banger from the beginning. That much was never in question. What genre the track should chart under clearly was, though. Enter Cyrus, who took to Twitter on Friday to explain why he said yes when 19-year-old Lil Nas X recruited him for the remix. “It was so obvious to me after hearing the song just one time. I was thinking, what’s not country about it? What’s the rudimentary element of a country and western song? Then I thought, it’s honest, humble and has an infectious hook, and a banjo. What the hell more do ya need?” Cyrus wrote. Not surprisingly, Miley quickly expressed her excitement over the remix, writing on Instagram, “When your dad is #1 on iTunes with @lilnasx!” Cyrus’ wife (and Miley’s mom) Tish Cyrus also weighed in, sharing a snapshot on Instagram of the songs trending on Billboard. “Congrats @lilnasx @billyraycyrus #changetheworld #strongertogether #otr,” she wrote. See also: This heartwarming video of a diverse group of young people singing along to the song. But, c’mon. Lil Nas X is from Atlanta, Georgia. He likely grew up steeped in Southern culture, which includes country music. Besides, the line between country and rap blurs when you really take a closer look. Much of Southern culture, from the food we eat to the way we speak and the syncopation of our favorite songs, is rooted in black cultures like Geechee, Gullah and Black Creole. While Billboard cites qualifiers such as an artist’s typical genre, it’s not as though music is a static entity. It’s constantly changing and evolving. Sam Hunt, who routinely blends rap and country (but is considered a country artist), is proof of as much. And do we need to discuss how many hit country songs have charted that feature rapping? Oh, what the heck, we’ll rattle off a few anyway: “Dirt Road Anthem” by Jason Aldean, “Hillbilly Rap” by Neal McCoy, “Boys ‘Round Here” by Blake Shelton…. There are also collaborations between rappers and country artists, like Nelly and Tim McGraw’s “Over and Over” and, also with Nelly, Florida Georgia Line’s smash 2012 “Cruise” remix. So, hopefully, Billboard will come to its senses soon and let “Old Town Road” chart wherever it wants. And when it does, can they go back in time to retroactively credit Bone Thugs-n-Harmony for their 1998 country-rap banger “Ghetto Cowboy”? Fair is fair, y’all.